Sing along with Pooh! 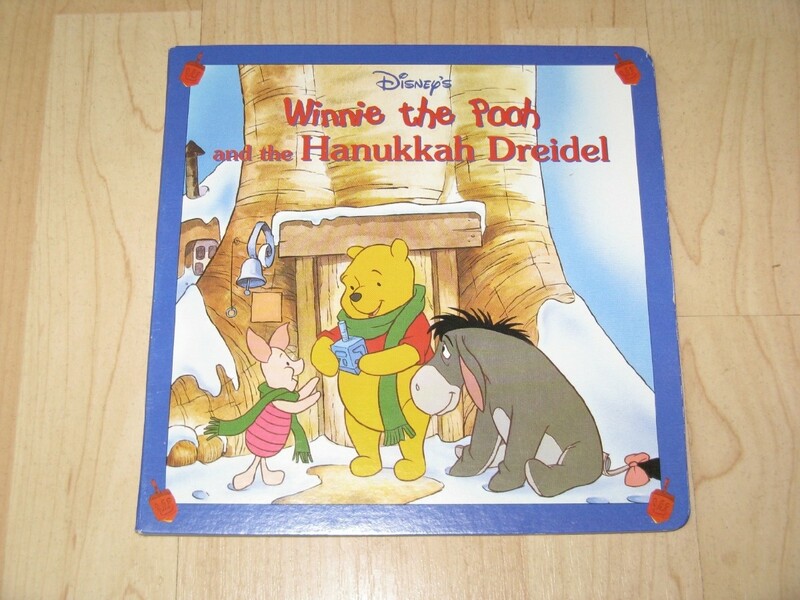 Pooh and his friends make their very own Hanukkah Dreidels out of clay! Little ones will love to sing this favorite song along with their favorite bear. This extra-large Mouse Works Holiday Board Book (published by Disney Enterprises, Inc.) measures eight inches square, and features big, bold print and jumbo-sized illustrations. It's perfect for sighted, visually impaired, or totally blind youngsters, and is a MUST for any Jewish household! For ages 1 to 5.